During the Targeting Microbiota 2018 congress, the Scientific Committee awarded Deborah Lynn Amos from Marshall University, USA for her Poster presentation entitled "Synergistic effects of sports, antioxidant and microbiota". "The gut microbiome is altered by both exercise and redox stress. We hypothesized the combined effects of antioxidant-overexpression and exercise would enhance muscle function and shift microbial diversity toward a healthy microbiome. This was investigated in (i) Cat-tg mice: express 3-4 fold higher catalase compared to its parent strain C57Bl6 and (ii) Bob-Cat mice: a hybrid between Cat-tg and Ob/+ hybrid leptin-deficient mice. Each genotype was either: a) sedentary or b) exercised. Based on our current results, it is evident the effect of exercise and overexpression of antioxidant catalase has had an additive influence on the key metabolic/endocrine organs with regard to metabolism and energy expenditure in addition to microbial composition and function. Because we have observed differences in the predicted function of the microbiome, we will continue this study by analyzing potential signaling pathways involved in lipid and glucose metabolism with plans to further look at diet effects on microbial composition within the “stress-less” mouse models". 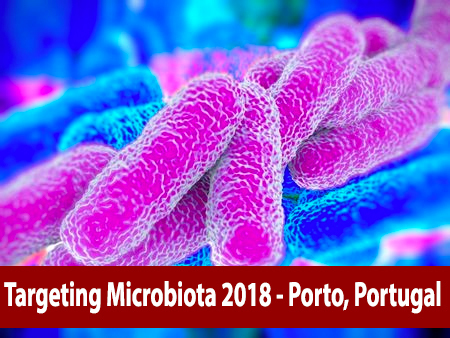 "Prior to the event, I had never left North America, so coming to the 2018 Targeting Microbiota World Conference was truly an invigorating experience! At the conference, I had a wonderful time meeting people studying the same discipline as I have for the past 4 years of my PhD work. Not only did I learn from other professionals, it was exciting to hear that others were able to add to their knowledge from my research findings. 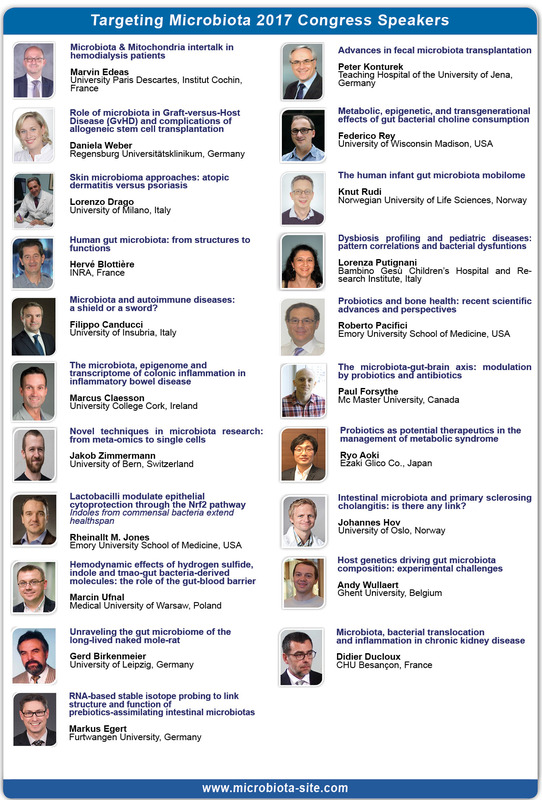 Everyone attending and organizing the conference was so helpful and kind. I would be honored to attend the 2019 conference if that is what God has in store for me". On behalf of Prof. Konturek, President of the International Society of Microbiota, we would like to thank Deborah Lynn Amos for her participation and her excellent poster presentation during Targeting Microbiota 2018.